It’s only been a year, but “Hako Boy” is already back and it’s even better than before. 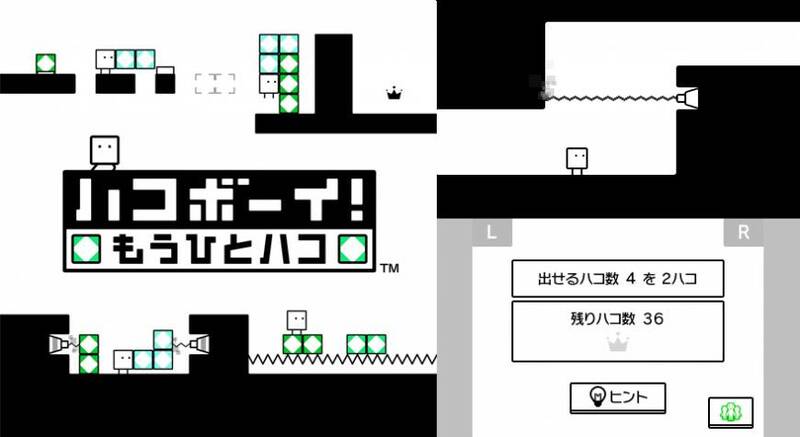 “Hako Boy,” which was released for the Western audience as “Box Boy,” features a box-shaped hero, who solves puzzles and clears stages thanks to his ability to squeeze out boxes and use them to scale platforms. The game’s retro graphics and monotone palette also helped it become one of the most popular DS titles of last year. So how has Nintendo improved on it? “Hako Boy! 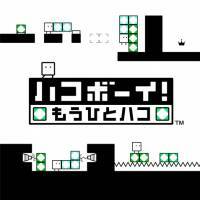 Mou Hito Hako” is able to make two sets of boxes instead of just one set, and therefore has more challenging puzzles. Once again, the game is also a master class in design. Nintendo proves that simple graphics and a reduced color palette — largely black and white, with some flourishes of green and teal — not only looks good, but also offers a truly inventive and exciting video game experience. “Hako Boy! Mou Hito Hako” is currently available in Japanese only and can be downloaded for ¥680. Nearly every year, Sega churns out a new “Yakuza” (“Ryu ga Gotoku” in Japan) game, and for the most part, they have been terrific. The series and its spin-offs, renowned for exciting game play and storytelling, are set within the Japanese underworld. This latest entry takes players back to where it all started. “Yakuza: Kiwami” is a PS3/PS4 remake of the original game, which was released back in 2005. The makeover includes spiffy new HD graphics, a fleshed-out storyline, different music and a new power-up system that involves extra fights with the unhinged gangster Goro Majima as well as other mini-games. Don’t think of it as simply a garden-variety HD remake. Look at “Yakuza: Kiwami” as a way that developers get to show how much they’ve grown and improved as game creators. The first-printing edition of “Yakuza: Kiwami” also comes with a demo for the upcoming “Yakuza 6,” so you can expect even more in the future. 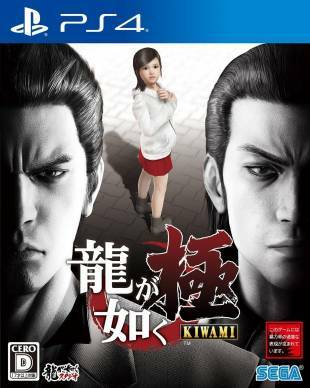 “Yakuza: Kiwami” was released this week for ¥7,009. Capcom’s “Street Fighter V” is the first cross-platform version of Street Fighter to be released, and its heading exclusively to PS4 and PCs (sorry Xbox One owners!). All this is a big deal since “Street Fighter” started out as an arcade game and has always embodied arcade culture. There have been home versions released, but none for the latest generation of consoles, and this is the first time that all players, whether on PS4 or PC, can play each other online. 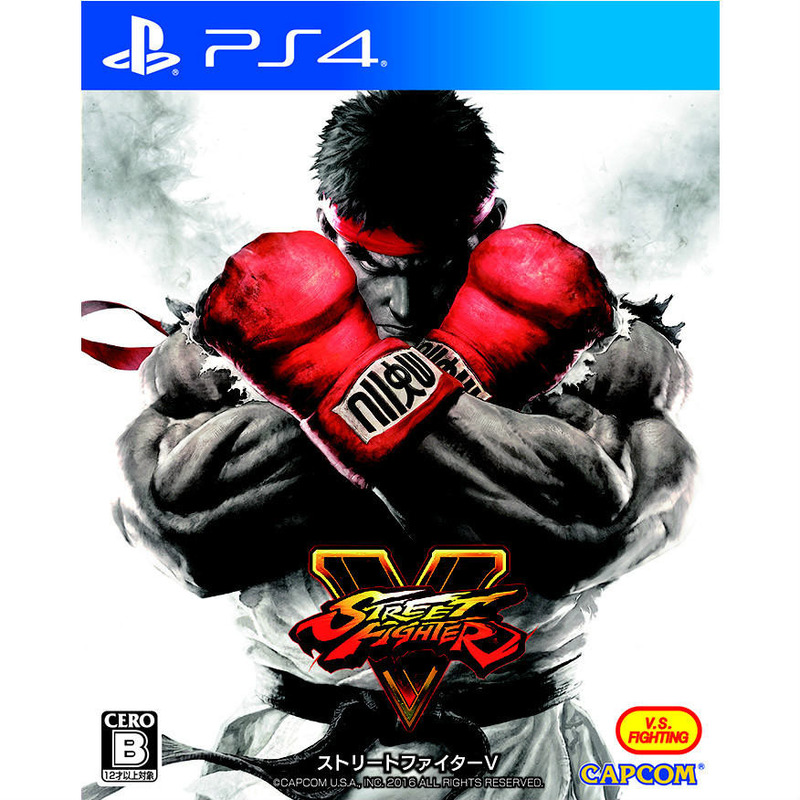 Capcom has tweaked the gameplay, too, adding a V-Gauge, which brings with it three new unique attack techniques and skills for each fighter. New characters, including a tornado-spinning Rashid from the Middle East, shows that Capcom is hoping to appeal to fans in all regions. To make sure it got Rashid right, Capcom collaborated with Pluto Games, the “Street Fighter” distributor in the Middle East. The game is slated to get regular updates, with the introduction of new characters that can be bought using real-world cash or with “fight money,” the in-game virtual currency. With esports becoming more and more popular, Capcom, no doubt, is hoping that the vibrant “Street Fighter” community will keep SFV thriving online for years to come. “Street Fighter V” will be released on Feb. 18. The PS4 retail version is ¥8,629, while the download versions are each ¥7,989.